The Kingdom of Sine (also: Sin, Siine or Siin in the Serer-Sine language) was a pre-colonial Serer kingdom along the north bank of the Saloum River delta in modern Senegal. The inhabitants are called Siin-Siin or Sine-Sine (a Serer plural form or Serer-demonym, e.g. Bawol-Bawol and Saloum-Saloum / Saluum-Saluum, inhabitants of Baol and Saloum respectively). Father Henry Gravrand reports an oral tradition that one Maad a Sinig Maysa Wali Jaxateh Manneh (many variations: Maysa Wali Jon; Maissa Wali Jon; etc. ), fleeing with his family from Kaabu following a battle in 1335 which he calls The Battle of Troubang, was granted asylum by the Serer nobility of Sine. Charles Becker notes that Gravrand had not recognised that this is actually a description of the 1867 (or 1865) Battle of Kansala although he agrees that the migration of the Guelowar can probably be explained by a war or a conflict of succession. Serer oral history says that after Maysa Wali assimilated into Serer culture and served as legal advisor to the laman council of electors, he was chosen by the lamans and people to rule. Almost a decade later he elected the legendary Ndiadiane Ndiaye (many variations: Njaajaan Njie or N'Diadian N'Diaye)and founder of the Jolof Empire to rule the Kingdom of Jolof. He was the first Senegambian king to voluntarily gave his allegiance to Ndiadiane Ndiaye and asked others to do so, thereby making Sine a vassal of the Jolof Empire. It is for this reason that scholars propose the Jolof Empire was not an empire founded by conquest but by voluntary confederacy of various states. Around early 1550, both Sine and its sister Serer Kingdom (the Kingdom of Saloum) overthrew the Jolof and became independent Kingdoms. Serer oral tradition says that the Kingdom of Sine never paid tribute to Ndiadiane Ndiaye nor any of his descendants and that the Jolof Empire never subjugated the Kingdom of Sine and Ndiadiane Ndiaye himself received his name from the mouth of Maysa Waly. The historian Sylviane Diouf states that "Each vassal kingdom—Walo, Takrur, Kayor, Baol, Sine, Salum, Wuli, and Niani—recognized the hegemony of Jolof and paid tribute." 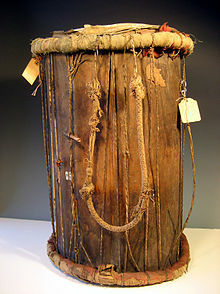 The rulers of Sine as well as Jolof continued to follow the Traditional African religion. On 18 July 1867, the Muslim cleric Maba Diakhou Bâ was killed at The Battle of Fandane-Thiouthioune (also known as The Battle of Somb) by the King of Sine Maad a Sinig Kumba Ndoffene Famak Joof while he was trying to take control of Sine and make it a Muslim land. The rulers of Sine retained their titles (Maad a Sinig) throughout the colonial period and did not lose all official recognition until 1969 after the death of Maad a Sinig Mahecor Joof (the last King of Sine, reigned: 1924 - 1969). Portuguese explorers in the 15th century referred to Sine as the kingdom of Barbaçim, a corruption of 'Bur-ba-Sine' (Wolof for 'King of Sine'), and its people as Barbacins (a term frequently extended by early writers to Serer people generally, while others insisted that Serreos and Barbacins were completely distinct peoples.) Old European maps frequently denote the Saloum River as the "River of Barbacins/Barbecins"  It has now been acknowledged that the terms "Serreos" (Sereri) and "Barbacini" (a corruption of Wolof "Bur-ba-Sine") were actually a corruption by Alvise Cadamosto - the 15th-century navigator. Alvise mistakenly distinguished between the "Sereri" (Serer people) and the "Barbacini", which seems to indicate that he was referring to two different people when in fact, the Kingdom of Sine was a Serer Kingdom where the "King of Sine" ("Barbacini") took residence. Since he had never set foot in Serer country, his accounts about the Serer people were mainly based on what his Wolof interpreters were telling him. "Barbacini" is a corruption of the Wolof phrase "Buur ba Sine" (also spelt: "Bor-ba-Sine" or "Bur-ba-Sine") meaning King of Sine, a phrase the Serers would not use. The economic base of Sine was agriculture and fishing. Millet and other crops were grown. Sine was very reluctant to grow groundnut for the French market, in spite of French colonial directives. It was less dependent on groundnut than other states. Deeply rooted in Serer conservatism and Serer religion, for several decades during the 19th century, the Serer farmers refused to grow it or when they did, they ensured that their farming cycle was not only limited to groundnut production. Their religious philosophy of preserving the ecosystem affected groundnut production in Sine. Even after mass production was later adopted, succession struggles in the late 19th century between the royal houses hampered production. However, the Kingdom of Sine was less susceptible to hunger and indebtedness, a legacy which continued right up to the last king of Sine - Maad a Sinig Mahecor Joof. It was very common for people from other states to migrate to the Serer kingdoms of Sine and Saloum in search of a better life. The inhabitants of Sine (the "Sine-Sine") rarely migrated. Some of the king's government (or the political structure of Sine) include: the Lamanes (provincial chiefs and title holders, not to be confused with the ancient Serer Lamanes); the heir apparents such as the Buumi, Thilas and Loul (in that order); the Great Farba Kaba (chief of the army); the Farba Binda (minister of finance, the police and the royal palace) and the Great Jaraff (the king's advisor and head of the noble council of electors responsible for electing the kings from the royal family). The following diagram gives a condensed version of the political structure of Sine. (Chief of the army)                               (or Bour Geweel. ^ Van de Walle, Étienne (2006). African Households: Censuses And Surveys. M.E. Sharpe. p. 80. ISBN 978-0765616197. Gravrand, Henry: La Civilisation Sereer - Pangool. Published by Les Nouvelles Editions Africaines du Senegal. 1990. ISBN 2-7236-1055-1. Diouf, Mahawa. Ethiopiques n°54. Revue semestrielle de culture négro-Africaine. Nouvelle série volume 7. 2e semestre 199. Teixera da Mota, Avelino (1946) "A descoberta da Guiné", Boletim cultural da Guiné Portuguesa, P. 1 in Vol. 1, No. 1 (Jan), p. 11-68. Boulègue, Jean. Le Grand Jolof, (XVIIIe - XVIe Siècle). (Paris, Edition Façades), Karthala (1987), p 16.